I have a problem with making comparisons. 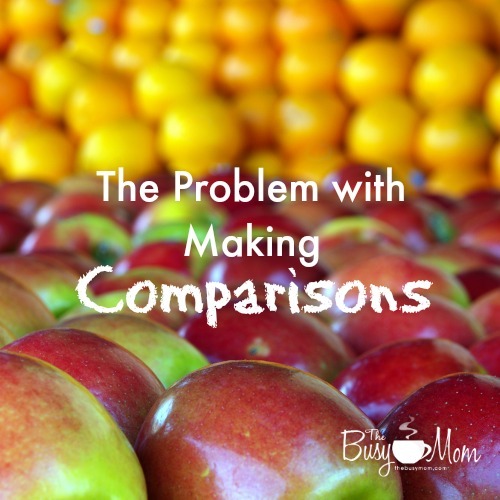 Sometimes making comparisons can be a good thing, like when one is comparing prices when shopping in order to get the best deal. There are other times when it’s a very bad thing! For example, it’s a bad idea to compare your husband or children to someone else’s. That does not usually turn out well! In those situations, comparisons simply serve to make us feel “less than” someone else, feel sorry for ourselves, and make us look at our circumstances and choose to be unhappy. 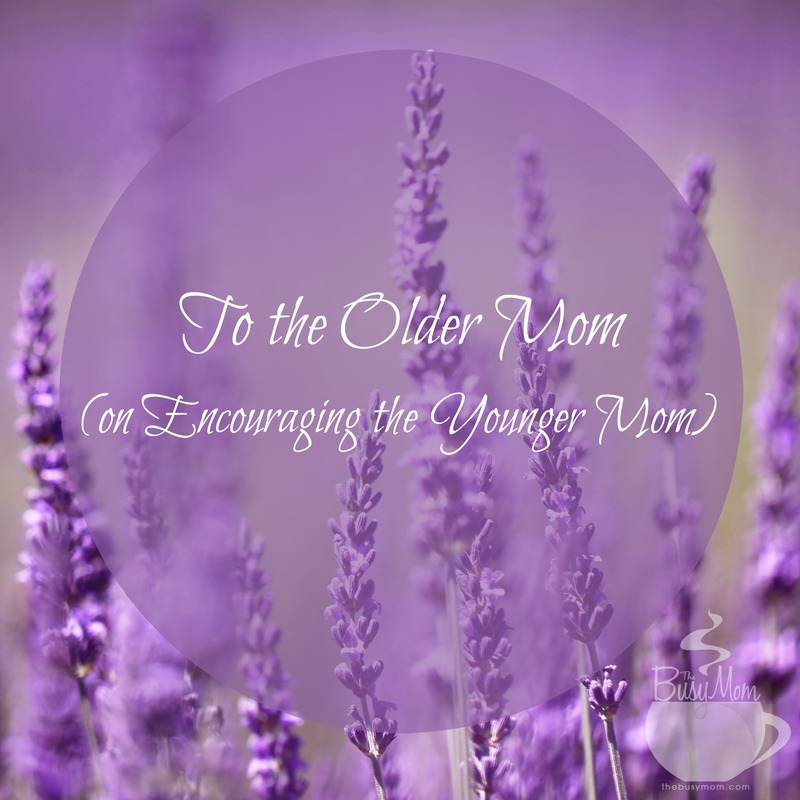 I was talking with another mom recently, and she shared that her husband was very unhappy with their teenage daughter. The daughter is very bright, but she just doesn’t apply herself to her school work. She’s also not very motivated when it comes to helping around the house or in the yard. She’s a talented musician, a very creative writer, and a sweet girl who is always polite and kind to others, yet her father isn’t happy with her because he sees other young women her age who make straight A’s and help in the house or yard without being asked. Instead of being thankful for his daughter and the gifts and talents she possesses, he sees what she doesn’t possess. As I was listening to this mom tell me about her sadness because her husband is so displeased with their daughter, I realized that I often do the same thing! 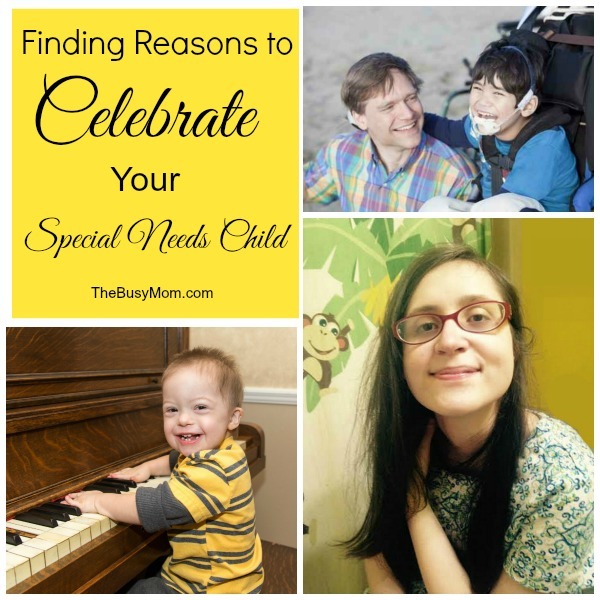 Instead of being thankful for my children and their own unique personalities and talents, I often find myself wishing they were different in one way or another. For example, my 18-year-old son does not enjoy his school work and really isn’t terribly motivated to make good grades (except that, because we homeschool, he has to redo assignments until I’m satisfied with his work). Over the years, I’ve wished many times that he would do his school work cheerfully and that he might even be able to enjoy it to some degree. Guess what? 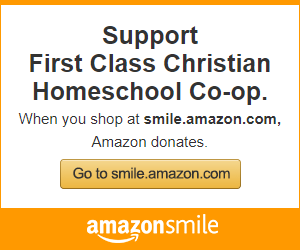 He’ll graduate from our homeschool next year, and he still doesn’t enjoy doing school. And he still doesn’t really care a whole lot about making good grades—except to keep from doing assignments over again. But I’ve begun to realize that, although school may never be something he enjoys, I can be proud of him for the other talents he possesses. For example, he’s extremely smart and creative. From the time he was a little guy, about 2 or 3 years old, he could tell you nearly anything you wanted to know about any dinosaur that ever existed. And he could take blocks or Legos and create quite a complicated habitat for his toy dinosaurs. As he’s gotten older, he’s branched out into building wonderful Lego ships and elaborate space stations. He’s also quite talented at strategy games (both board games and video games). So, while I admit that I would have loved to see him take pride in his school work and be motivated to make good grades, he is definitely talented in other areas and in other ways, and I’m thankful for that. Isn’t it a good thing God doesn’t decide how much He loves us based on our achievements and talents or any other criteria? He loves my children and me simply because He made each of us! Wouldn’t it be wonderful if we were that way? If we could (or would) simply stop worrying about what our children (or we ourselves) don’t have and be thankful for what we do have? If we would stop comparing our husbands or children or houses or cars to others and be grateful instead? God loves each one of us unconditionally! He loves each one of us simply because He made us! If we never make good grades or go to college. If we never have a job with a fancy title or earn a degree with lots of letters behind it. If we never bring thousands of people to salvation. If we are simply His children living quiet lives of service to Him, that’s enough. If we’re never well-known. If we never make a lot of money. 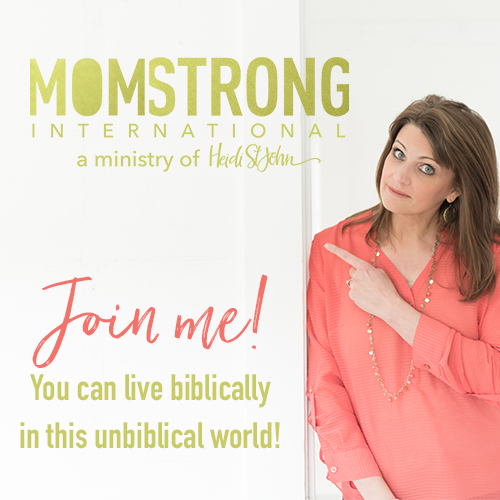 If we simply remain faithful to our husbands and take care of our children and teach them to love Him, it’s enough. So next time you feel discouraged, remember that God loves you. The next time you feel worthless, remember that you have worth simply because God created you! The next time you wonder if God loves you, remember that He loves you simply because you belong to Him. The next time you wonder if what you’re doing really matters, remember that it does because He gave you your job as wife and mother. And that is enough. 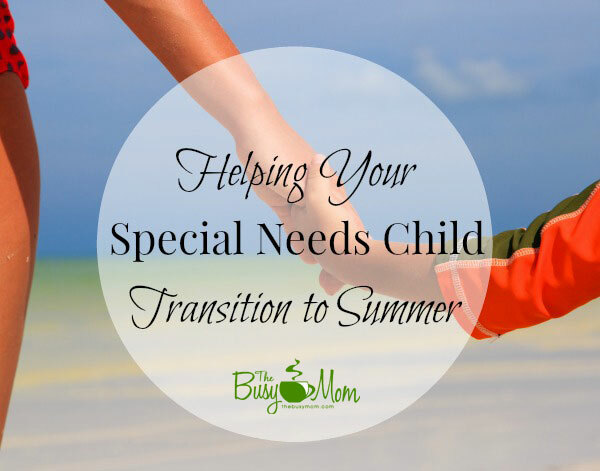 I thought it would be a great time to begin a discussion about helping your marriage thrive while bringing up special needs kids. 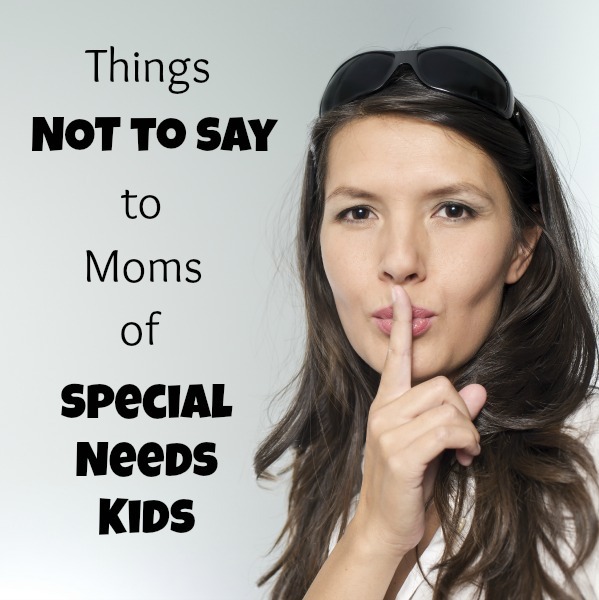 Being a parent of a special needs child adds an extra challenge to what is already a difficult job! 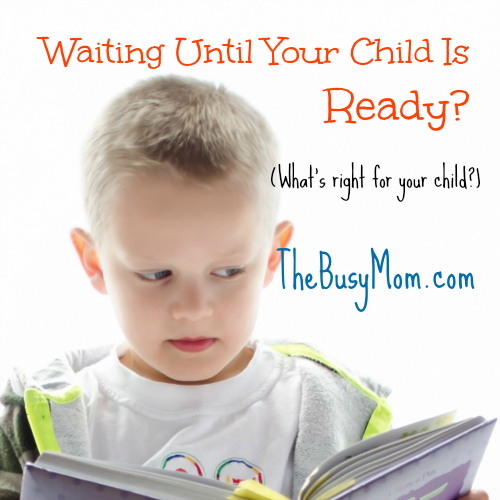 I know that, at least in the case of autistic children like my daughter, these children often take years to potty train, may be non-verbal, may not be able to feed or bathe or dress themselves even as teenagers and adults, and may not sleep well. It can be kind of like having a baby or toddler for a lifetime instead of a few years. Most parents eventually reach the years during which their children are more independent, but for the parents of special needs kids, that day may never come. I don’t remember when I came across The Five Love Languages: The Secret to Love That Lasts by Gary D. Chapman, but I wish I had come across it much sooner! I think it would have been so helpful for my husband and me to have known about love languages and affirming each other’s love language 24 years ago when we were first married. We didn’t know that we spoke different love languages or that we needed to each meet the other’s needs to be loved in the way each of us understood. We probably each thought we were doing all we could do to love the other. And to be truthful, when our autistic daughter was younger (She’s 19 now.) and required so very much care and attention for so many years, we were both exhausted and burned out much of the time. I wonder sometimes how we survived–much less how we stayed married! But we had promised God and each other that we’d stick together, so we were determined to do it! The love languages book surely did make it easier, though! His other love language is physical touch. I think most men speak that one! I realized I also was not spending time giving my husband the physical affection he needed—inside or outside of the bedroom. That was difficult for me for a long time because my children were so physically needy that I felt like I had nothing left to give at the end of the day. I didn’t want anyone touching me or needing anything from me once the children were in bed. But once I began to understand that physical touch was one of his most important love languages and that he didn’t feel loved if his physical needs weren’t being met, it helped me understand his needs and that he wasn’t being selfish or uncaring. He simply needed me. This doesn’t mean that my husband doesn’t appreciate acts of service, words of affirmation, or receiving gifts. It just means that those aren’t as important to him. Those are the love languages that he might appreciate having met now and then, but they aren’t necessary for him to feel loved on a day-to-day basis. 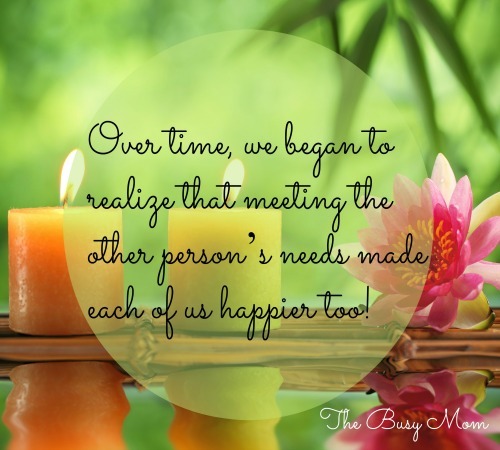 Over time, we began to realize that meeting the other person’s needs made each of us happier too! We didn’t start out doing a very good job of it at all, but we have improved with time and effort, and you can too! What if your husband doesn’t speak your love language? What can you do? Is there a way to have a happy marriage when only one spouse cares enough to work at it? Those are some of the questions I plan to address in the future, so be sure to come back! And if you have specific questions you’d like to see addressed, please leave them in the comments.